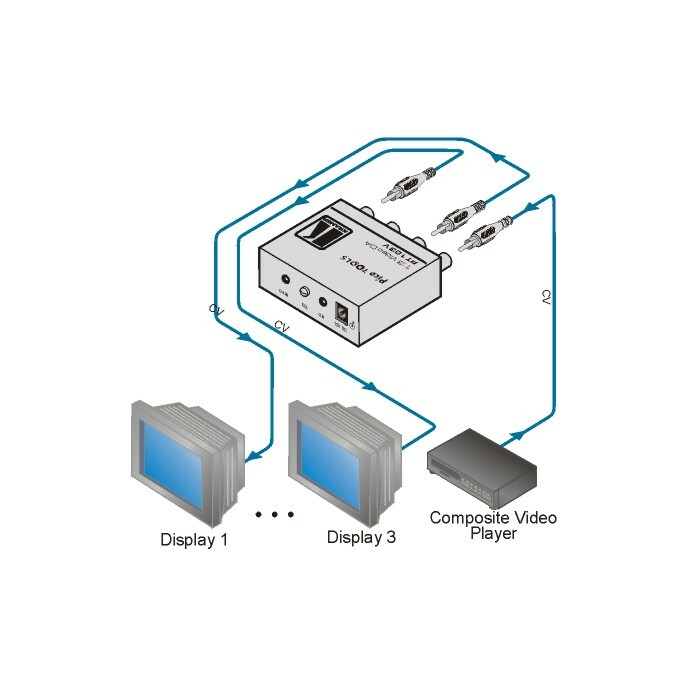 The PT-103V is a composite video distribution amplifier. It takes one input, provides correct buffering and isolation and distributes the signal to three identical outputs. High Bandwidth - 407MHz (-3dB). Ultra Compact Pico TOOLS - 4 units can be rack mounted side-by-side in a 1U rack space with the optional RK-4PT rack adapter.